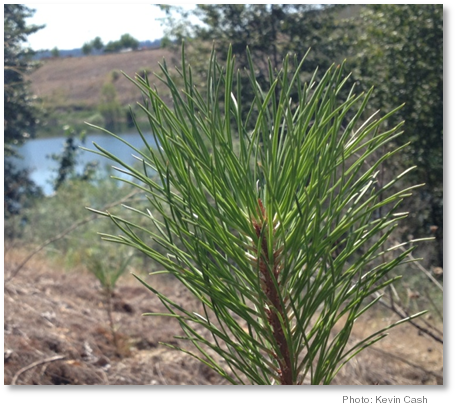 If you have any questions about the use of Ponderosa Pine or would like to contact us about having Ponderosa Pine seedlings planted on your project at no cost to you, please feel free to email us at mail@spokaneponderosa.com. Ponderosa Pine reduce long term landscape maintenance, increasing long term project profitability when compared to non-native tree species. Recent surveys show that 9 of 10 real estate appraisers believe trees boost sales and add value. Large trees = 3% to 15% increase to home value. Commercial areas with trees have higher occupancy & rental/lease rates. Increased consumer patronage and spending. People travel farther for shopping areas with a tree canopy. Research shows a 10 year increase in asphalt pavement life when shaded. Storm water absorption of Ponderosa Pine alone in a study of public trees saves the City of Spokane $210,149 per year in mitigation through rain interception and storage, thereby reducing the need for additional stormwater infrastructure. 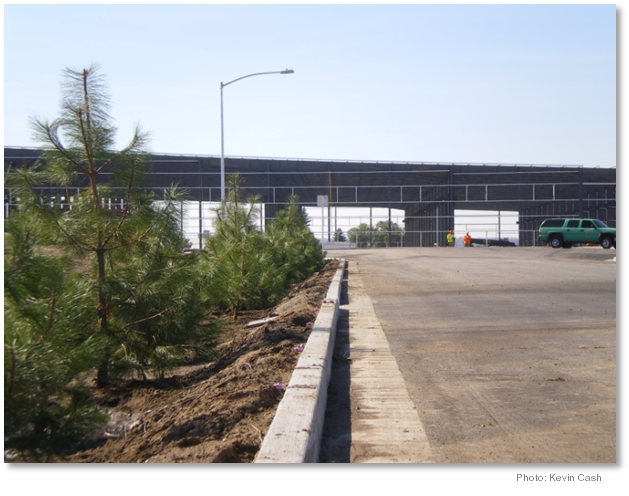 Our Ponderosa Pine urban forest provides environmental, economic, and health benefits that improve productivity. Adjacent trees provide a reduction in building heating and cooling cost. Ponderosa Pine contribute to the unique look of Spokane County. Incorporating existing trees into site plans provides a feeling of establishment. 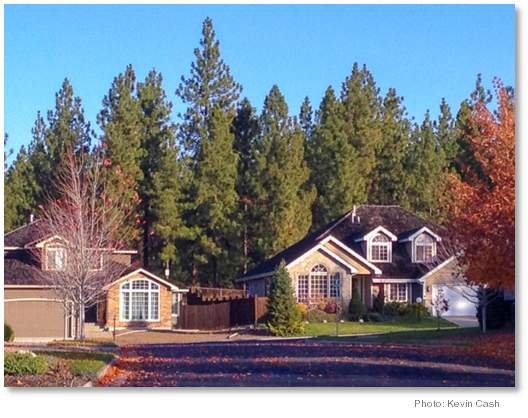 Many of Spokane County’s most popular residential areas retained Ponderosa Pine. Retaining and planting Ponderosa Pine in development projects ties the project to the area’s unique look and local feel. Local projects that remove or otherwise have no Ponderosa in their plant pallet typically look like they could be from any city in the country (“Anywhere USA”). Ponderosa Pine is Spokane County’s Primary Native Tree. Ponderosa Pine provide the advantages of a large tree species without supplemental watering, fertilizer, or insecticides once established. No irrigation required after two years on new trees. Ponderosa Pine provide food and habitat for native wildlife. Approved for storm pond and swale planting in the city of Spokane. Approved City of Spokane street tree. Spokane County is home to a myriad of recreation opportunities in our indigenous pine forests and open spaces. The Ponderosa Pine is synonymous with the region and its natural beauty. Ponderosa Pine provide year round aesthetic quality. Ponderosa Pine require less water than non-native tree species freeing up our aquifer for other uses. A mature tree canopy reduces our urban heat island. Health benefits include a faster recovery time from illness and surgery when viewing trees. The root systems of Ponderosa Pine stabilize soil thereby protecting our rivers & streams. Ponderosa Pine absorb air and soil pollution. Our urban forest helps our air quality through the absorption of CO2. Values of Urban Trees - A Technical Guide to Urban and Community Forestry, US Forest Service, Saint Paul Field Office - Includes methods of inventory and appraisal. Nature and Consumer Environments, a list of studies looking at the effects of trees and landscape on patronage to retail businesses. SMC Title 17B Comprehensive Plan and Sub-area Plans, but see the on-line Comprehensive Plan at: https://my.spokanecity.org/shapingspokane/comprehensive-plan ; and the Comprehensive Plan Land Use Map.